One morning in the summer of 2005, I woke up with a numb hand. In 2009, I received the definitive diagnosis that I had multiple sclerosis. Last month, I ran the London Marathon. That's quite a journey over that decade. Multiple sclerosis is a horrible, insidious condition for which there is currently no cure and which affects everyone differently. I can tell you from my own experience that the process of being diagnosed with MS is no fun at all and can often drag out for years... four years in my case. During that time, you can't help but play over and over in your head what your outcome might be. Am I going to end up in a wheelchair? Is this going to shorten my life? You wouldn't be human if thoughts like that didn't occasionally creep into your mind, and the Internet can be a very scary place indeed to look up things like MS because people tend to write about the worst outcomes. When it came, the diagnosis was actually something of a relief. Once this thing had a name, I felt better able to get on with sticking two fingers up at it and getting on with living my life. Frankly, what other choice do you have? It's World MS Day today, and their slogan this year is #strongerthanMS. 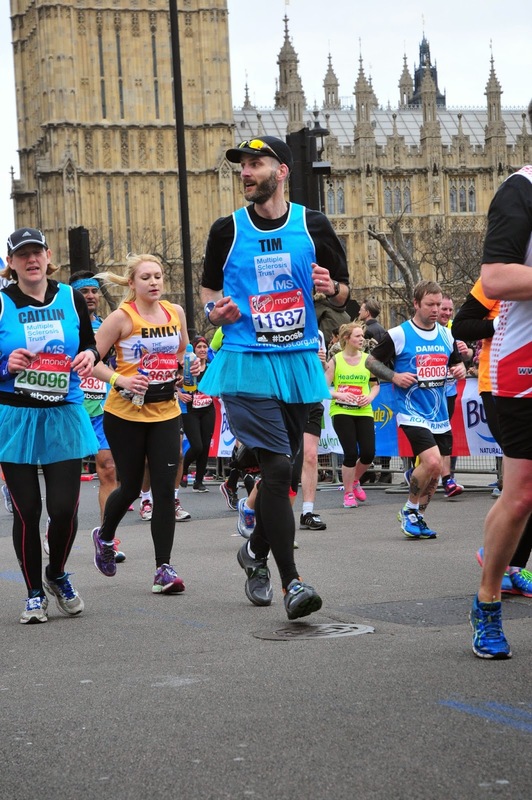 I've been lucky and I'm bloody-minded and stubborn enough to push myself to run a marathon. Not everyone with MS is this lucky, and I only need to look around the waiting room at the MS clinic I attend to understand that. Every single person there represents a possible future for me and nobody is more aware of that than me. Look, I know I always sound excessively stoical when I talk about this, but you can only work with the cards you've been dealt. There might come a time when I can't run a marathon; or can't cycle to work; or perhaps can't even walk to the shops. If that time comes, I'm just going to have to set myself different targets. The one thing that I hope I never forget is that MS will only define me if I let it. I always link to this: it's a film they made for World MS Day in 2009. If you haven't seen it, I'd really encourage you to give up a few minutes of your time to watch it through. It strikes very close to home for me and almost always brings a tear to my eye. You're not alone and you're stronger than this. If you want to have a pity party, that's up to you. Just count me out.